Going back to basics means going straight to the very essence. 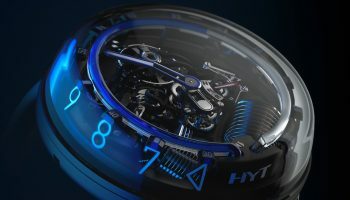 By taking as its focus the visual and emotional possibilities of time flowing as a fluid, HYT allowed watchmaking to enter the new millennium, whilst continuing to root its creative process in the very origins of time measurement. 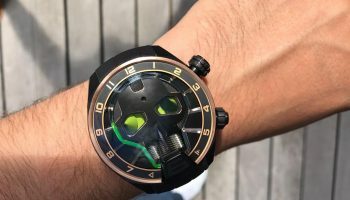 This manifesto has been further extended with the new H0 from HYT which, with the purity of its lines, encapsulates the very idea of a source code. 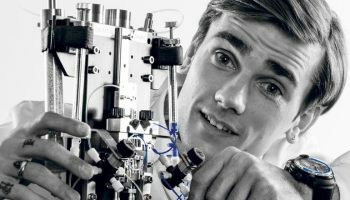 All life on earth is dependent on fluids. 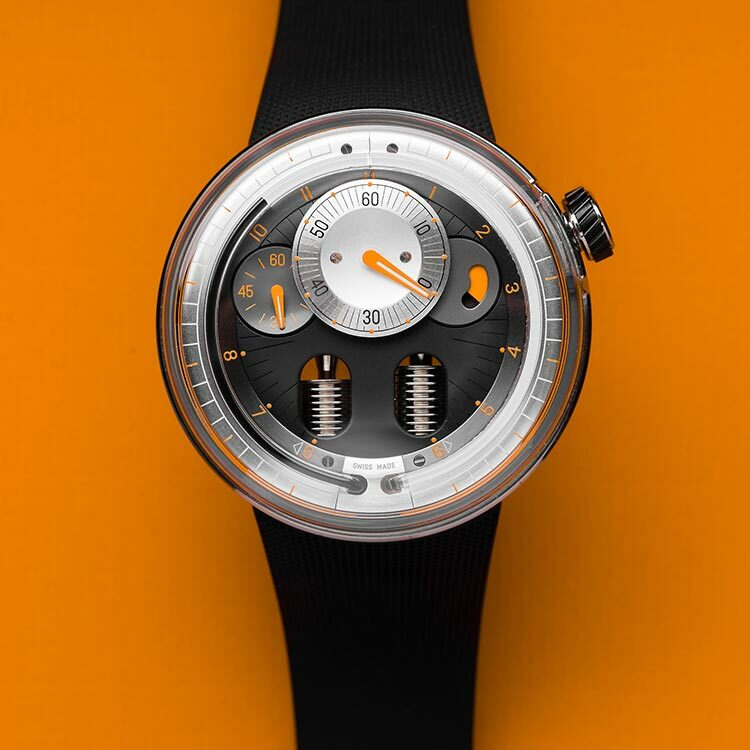 This truth inspired in HYT the desire to focus our attention on the continuous movement of a coloured and a transparent fluid within a capillary. 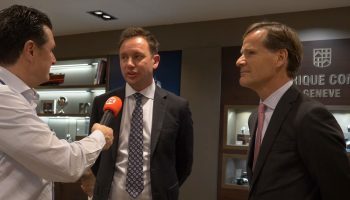 This display system, as unique as it is complex to realise, gives the impression that it is levitating. It offers new and intuitive perspectives on how to read and interact with both time and space. 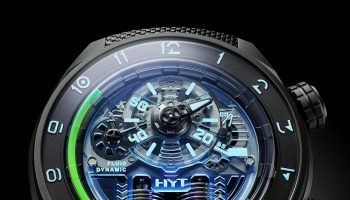 With a large part of the movement hidden underneath a curved dial — suggesting the concentric waves formed by drops of water repeatedly falling into the basin of a water clock — HYT is re-engaging with magic and mystery, and with the source of life. 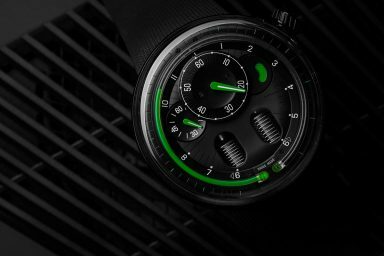 The first watch brand in history to offer collections which utilise major innovations in microfluidic technology, for its new HYT H0 collection, HYT has decided to rework its design. Pared down to the essential, only a section is revealed to provide a better understanding of the extraordinary sophistication of the systems within. 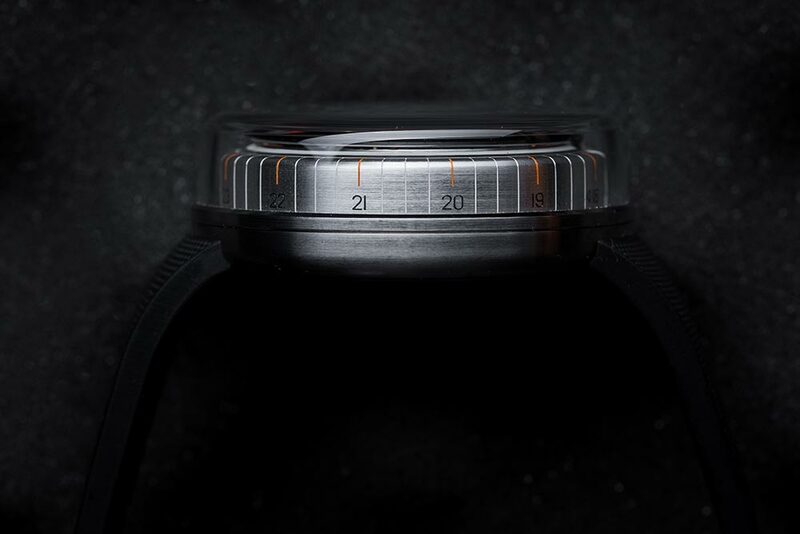 Less is more… A fraction of the bellows is revealed through drop-shape openings in the surface of the dial. The minimalist design of the titanium piece focusses the attention on the artistic, spectacular dimensions of the fluid display. By basing the volume of the H0 on the circle, the droplet, and waves, HYT reinforces its belief in the fundamental principle that space and time are one. These primal curves are themselves inspired by a pebble, worn smooth by water from a mountain stream. 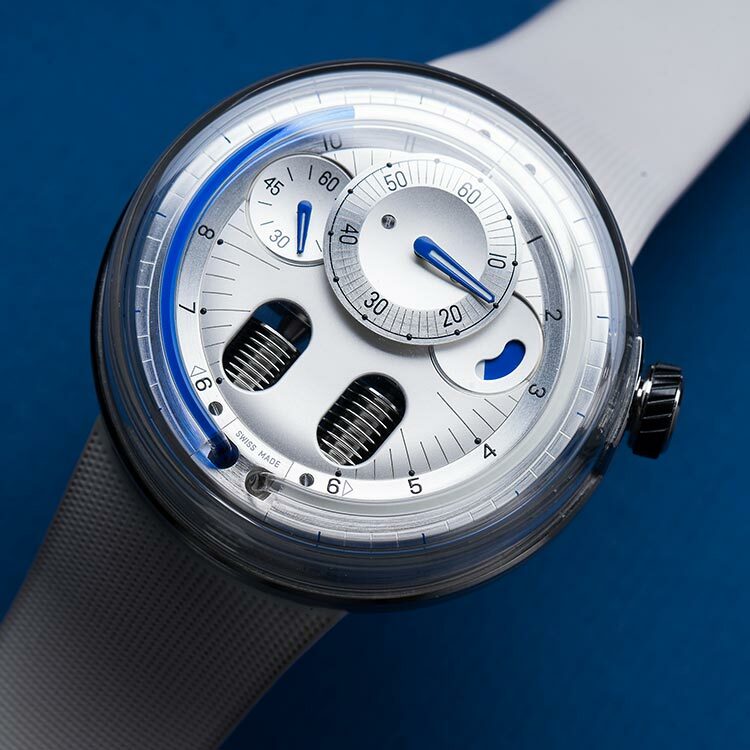 Augmented by a futuristic design, the minutes can be read via a hand positioned at 12 o’clock and the seconds via a small counter at 9 o’clock. 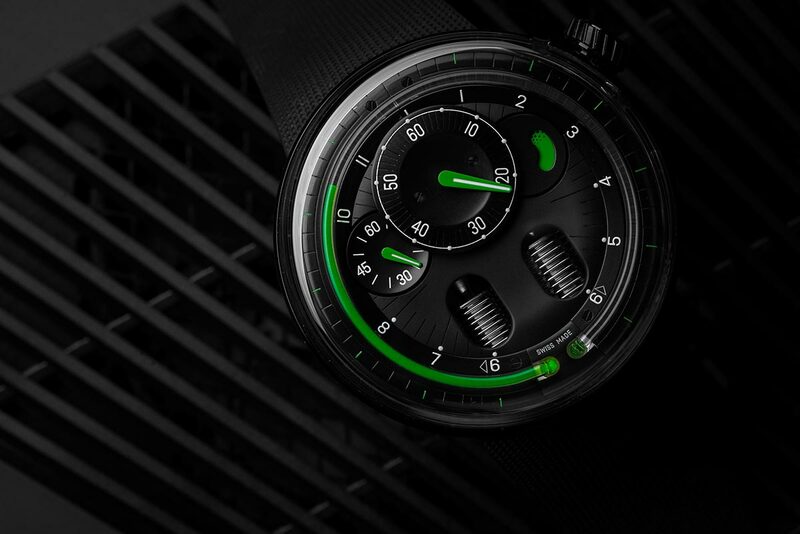 The practical cutaway at 2 o’clock enables the power reserve level to be viewed. 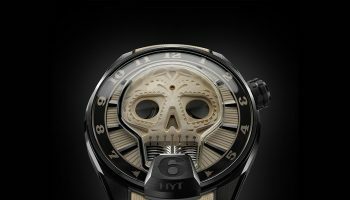 This finely balanced assembly is magnified by a sapphire crystal which offers a completely new perspective, that of a side-on display. 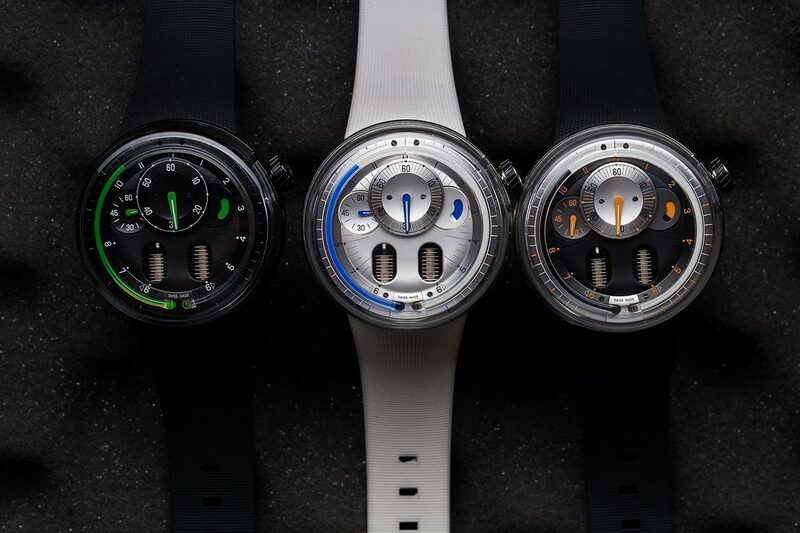 The H0 is available with a supple rubber strap, with its fixings integrated into the case middle so the flow of its lines continues uninterrupted, ensuring it is supremely comfortable to wear.